Our human view of reality partly evolved through understanding things by observing subsequent events. Fifty thousand years ago imagine one proto-human saying to another, or however they communicated back then: “Don’t eat those berries – you’ll get sick afterwards.” Or an experienced proto-human might point to black clouds in the sky and predict severe weather was sure to follow. These things were learned and passed on through noting what tends to follow what. Such observational skills contributed to how we became the creatures we are, how we surpassed other species in development and achieved mastery of the word around us. But even many millennia ago I’m sure this habit of thinking created problems. What if it was a mere coincidence B followed A, and there was no causal link at all? If one is predisposed to view one thing as a consequence of another thing because it followed afterwards serious mischief is possible. A person violates a social taboo and disaster follows – cause and effect? Of course that’s true, if you see the world that way. In thirteenth century France, or for that matter in seventeenth century Massachusetts, an old woman nobody liked might pass by a neighbor’s house and glare at a milk cow blocking her way. Afterwards the cow goes dry. Arrest the witch! This inherent way of looking at the world, often termed the fallacy of post hoc, ergo propter hoc (after that, therefore because of that) is deeply embedded in our human consciousness, in the way in which we explain events in the world around us. It often continues to serve us well today. Consider the old Vaudeville joke: “Doc, whenever I do this I hurt!” To which the physician responds: “Then stop doing it.” Common sense, right? Well, in the world of vaccine denial, this primeval human instinct can significantly cloud our thinking. For those of you not familiar with this topic, there exists a substantial group of people who claim vaccines don’t work. More than that, they believe vaccines cause substantial harm. Why do they claim this? You could say their answer is partly theological: they already believe, a priori, vaccines are harmful, and once one believes that the only thing needed is to discover precisely how vaccines cause harm. I follow the vaccine denial world a bit online and it’s fascinating to watch them chase first this butterfly, then the next, pursuing the One True Cause of vaccine harm. They’re not looking to understand, really, they’re looking for evidence of what they already know to be true. 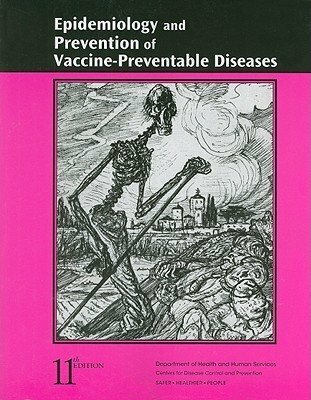 Not surprisingly, some of the “proofs” they arrive at for vaccine harm contradict one another, providing another interesting parallel with medieval scholastic theology. Vaccine denialists have a particular problem dealing with the science of epidemiology. You will read multiple online claims vaccines killed or injured a particular child because the child had problems after receiving a vaccine. In fact, it’s so obvious to them they are astonished anyone would question that, for example, a child who dies of sudden infant death syndrome (SIDS) and who received a vaccine several days previously was not killed by the vaccine. Post hoc, ergo propter hoc. Of course we use epidemiology to evaluate this issue. Just on the face of it, vaccines are given so frequently in the first 6 months of life that there is a large pool of infants who have been recently vaccinated. The pool is orders of magnitude larger than the incidence rate of SIDS (3 per 1,000). So a significant number of SIDS victims will have been recently vaccinated. The way epidemiology evaluates questions like this is to do case-control studies. Many of these have been done; all show show no adverse effects of the vaccine. Some actually show some protective effect of vaccination against SIDS. Epidemiology is the study of diseases in populations. Over the past century it has become extremely sophisticated in how it answers questions such as the one at hand: “Do vaccines cause X (fill in whatever your particular claim of harm is for X)? Several standard epidemiological methods have been used to address this question, including case-control and cohort studies. Vaccine denialists, in my online experience, are simply either unwilling or incapable of dealing with the ramifications of this important field of medical research. To some extent I sympathize with them; understanding epidemiology is tough. They can be incredulous that I don’t accept that some event following a vaccination is obviously caused by it. Yet the key goal is to eliminate the “burn the witch” tendency humans have always had. I’m actually not optimistic the core base of vaccine denialists is going to give up their theology any time soon. Many have invested enormous emotional energy into that world view, and change is very difficult. Many have children suffering from disorders for which we don’t have any good explanations, and “vaccine injury” provides a comforting way both to explain their child’s problems and to blame an outside agent for the problem. Of course the epidemiological evidence is that vaccines are extremely safe and effective. They are the most low risk and high benefit therapies modern medicine has to offer.